Just kidding, y'all. It's already May. But I did go to see Justin Timberlake on April 30th and, if you are asking me, he missed the chance to turn himself on stage into a living meme. Of course, the show was still rhythmic and smooth, and I got to dance to "Cry Me a River" next to my mom which was everything I'd hoped it would be and more. My aunt and cousin flew down from Portland with a group of their family friends, and we spent a little gals' weekend exploring Pasadena. Pasadena is a good place to go if you like nice things and if you like pretending you live in a quaint small city where you can walk places instead of in one of the most sprawling urban metropolises in the world. 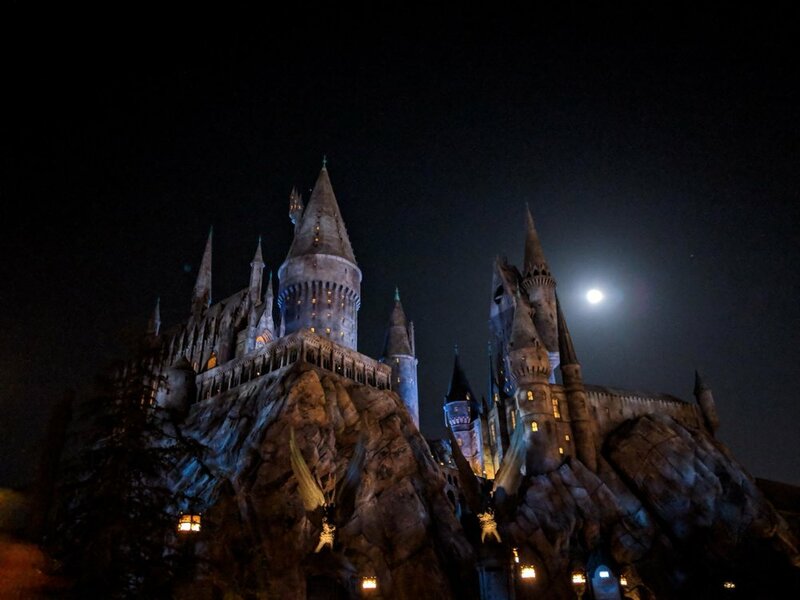 We went to Universal Studios on Saturday, which was how you would expect Universal Studios to be on a Saturday, but we really enjoyed ourselves. It turns out that long lines are a great time for catching up with friends and fam. One of the gift shop employees gave us speed passes for the Harry Potter castle ride which really sent our day at the park above and beyond. Thank you gift shop man! It was so nice to have a whole weekend to relax and reconnect with family and new friends. Hi friends! Last week, which began with my 30th birthday, I went on a little stay-cation to the luxurious (seriously!) Crowne Plaza LAX airport hotel to participate in training for my second year of AmeriCorps. For the next year, I'll be serving as an AmeriCorps VISTA with Bright Prospect, an organization that helps low-income high school students get into and through college. I've been pretty open about my move to Los Angeles, but I haven't told many people why I'm here and what I'm doing. That's partially because I'm always doing a lot of different things, and partially because I felt slightly silly to be a 30-year-old signing on for another year of AmeriCorps. 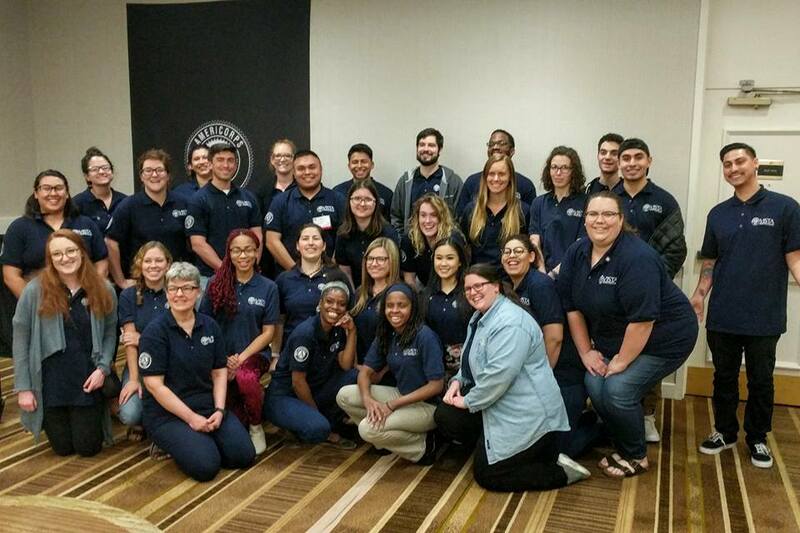 If you're not familiar, AmeriCorps is a service program where volunteers work in underserved communities for a year or two (sometimes more) to make life better for the people living there. We act like full-time employees, but receive a very modest stipend that is designed to give us the experience of living in the communities in which we serve. VISTA is a program that specifically aims to fight poverty in those communities, and I'll be doing that by making sure high-potential high school students have access to higher education, regardless of their income level. During my first year with AmeriCorps, I worked in a low-income elementary school and provided 1-on-1 reading instruction to 10-12 students per day. I wanted to test if I'd eventually like to become a certified teacher, and quickly found out that I did not! (Although 5-8 year olds can be pretty adorable.) When the year ended, I decided not to return from my leave of absence with IBM, and instead took some time to teach yoga, travel, and drive for Uber while I figured things out. I also also took a few courses in Graphic Design to pursue some personal and semi-professional interests on the side. 6 months later, I was finishing up my work/trade in Nicaragua and considering next steps, dreaming of Southern California like I had for a long time. I’d done a couple interviews in the area, but nothing really stuck. I kept getting the dreaded, “Contact us when you get out here!” But I wasn’t brave enough to move to one of the priciest places in the world without the promise of a job. One day, I finally decided to browse the AmeriCorps jobsite-- just to see! I had mixed feelings about my first year. I learned so much about what humans are capable of; I was part of an awesome and irreplaceable team; I felt on fire about pursuing my passions and working with equally passionate people. At the same time, it was hard to record 1600 service hours for a stipend that barely covered rent. I also worried about how it would look. AmeriCorps is popular with the fresh out of college, idealist crowd, so almost everyone in my first program was 22 or 23. I'm 30 now, and I hear your 30’s are supposed to be about expanding your career, planning for a family, developing expertise, etc. I’m sure it will be a challenge going back to the 9-5 schedule, but I’m positive it will be a rewarding learning experience. And you can bet that the yoga teaching has already started and will continue on every evening and weekend possible. Thank you for following along and being here to read this! I'm so grateful for your continued support.